Clear mailing labels virtually disappear on paper for a professional, customized look. 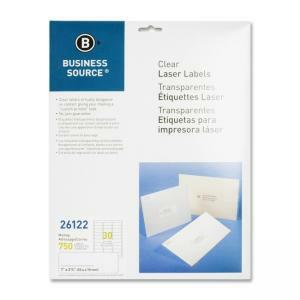 Each mailing label is backed with permanent adhesive for secure labeling. Sheets of labels are compatible with laser printers only.